December has been a very busy month for my family, for many reasons, and I realized I should have taken a blog break this month, as I have had hardly any time to sit by my computer. Hopefully, if you keep in touch with me by Instagram, facebook, or twitter, you have seen why my blog has been quiet these past few weeks. We began December by traveling to Colorado Springs, where we stayed overnight at the beautiful Broadmoor Resort and Hotel. 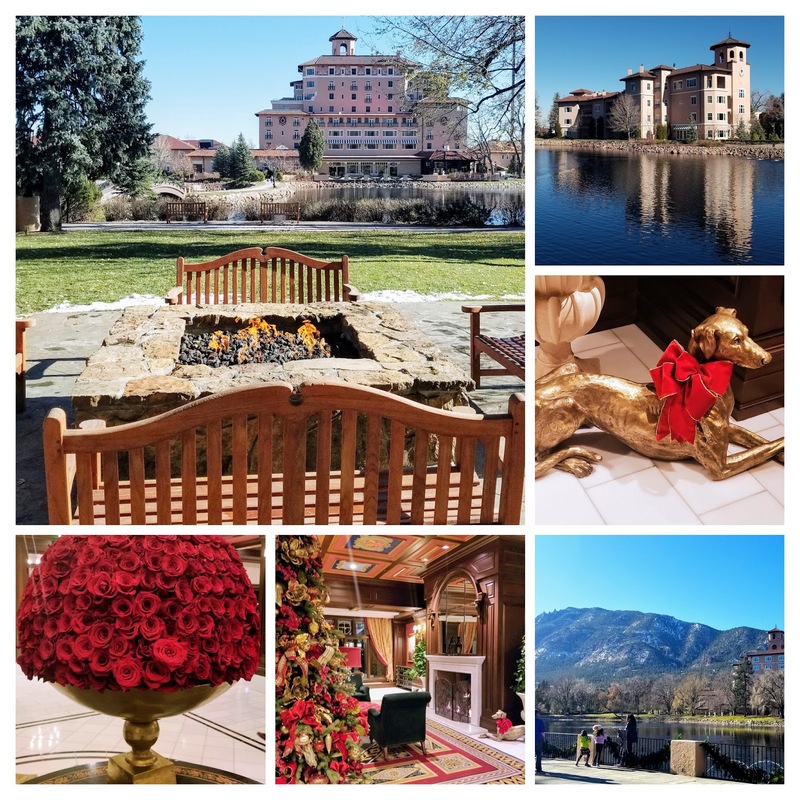 I've blogged about this very special hotel more extensively on this post--click here--where we celebrated an anniversary a few years ago. 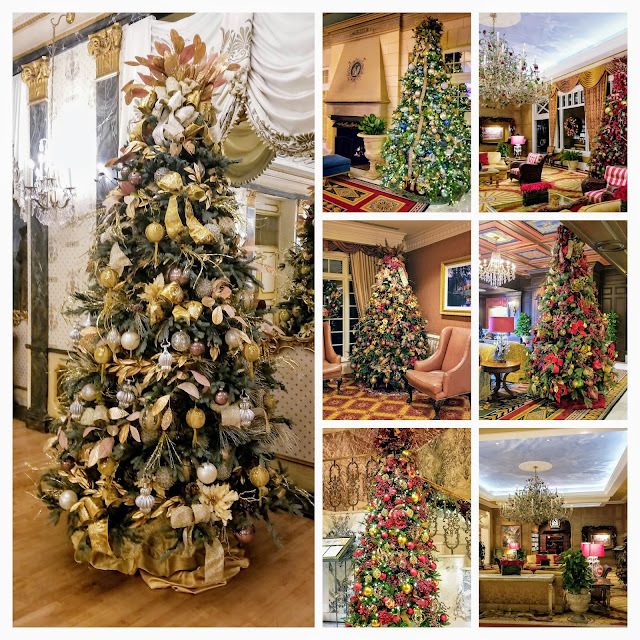 It was beautifully decorated for the Christmas season, with many different Christmas trees in all of its buildings. 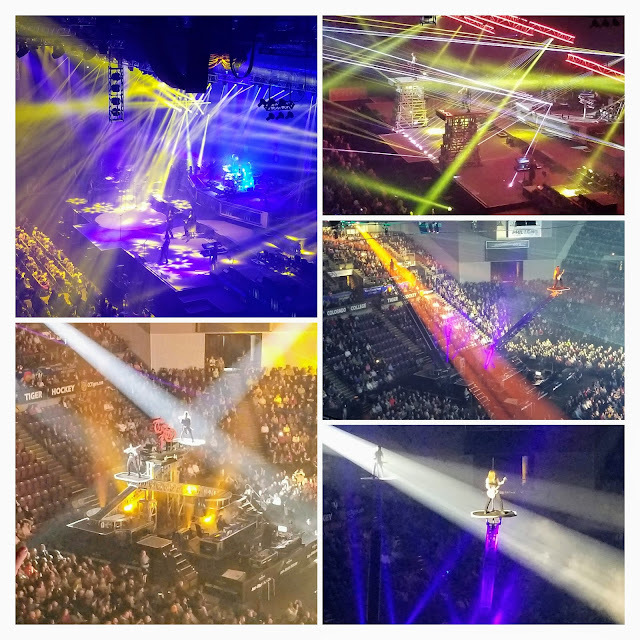 We stayed overnight at the hotel with friends, as we were all in Colorado Springs to see the Trans Siberian Orchestra in concert. What a spectacular show they put on! The lights, special effects, narrated Christmas story and music was all fabulous! On our way home the next day we drove through the Garden of the Gods--click here--to read my post about this natural red rock park in Colorado Springs--where we saw this wonderful view of Pikes Peak. 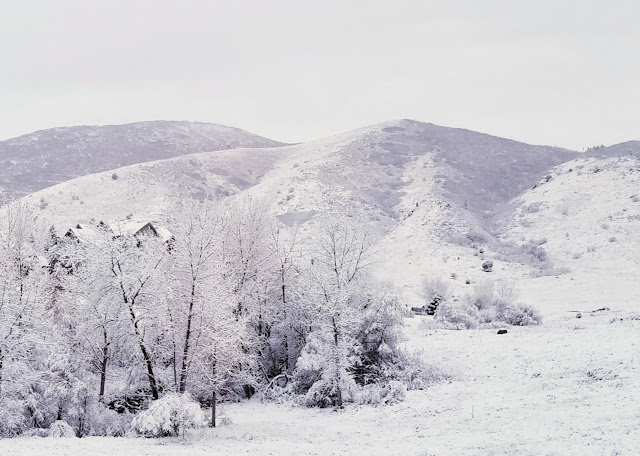 There was a little bit of snow at its 14,114-foot elevation. 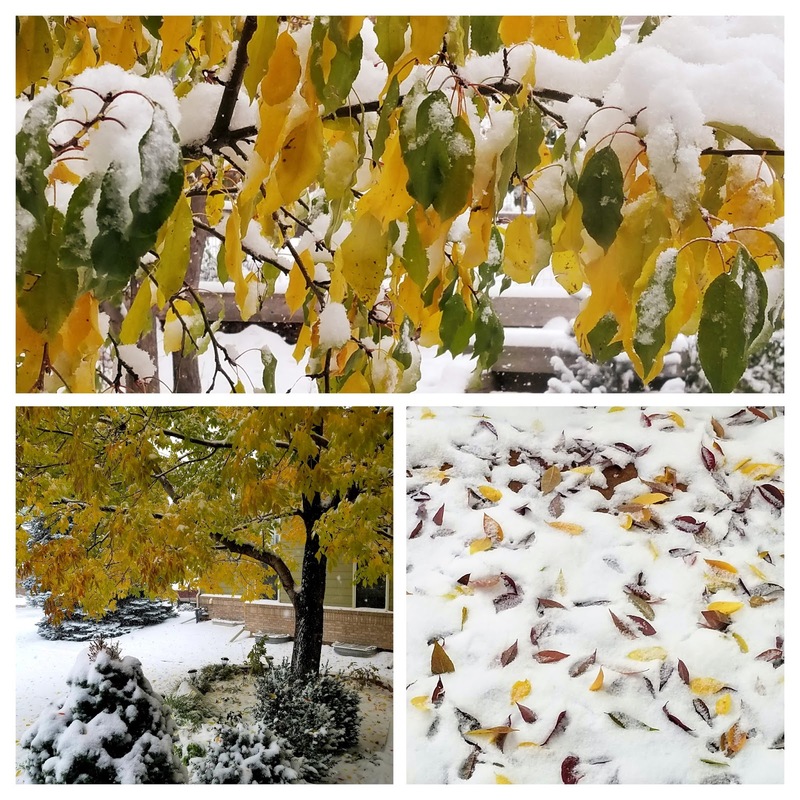 So far late autumn has not brought the front range of Colorado much cold or snow, but the higher elevations and ski resort areas have gotten a nice amount. Although my husband and I were nursing colds and sore backs, we were able to put up and decorate our Christmas tree and decorate the rest of the house outside and in. 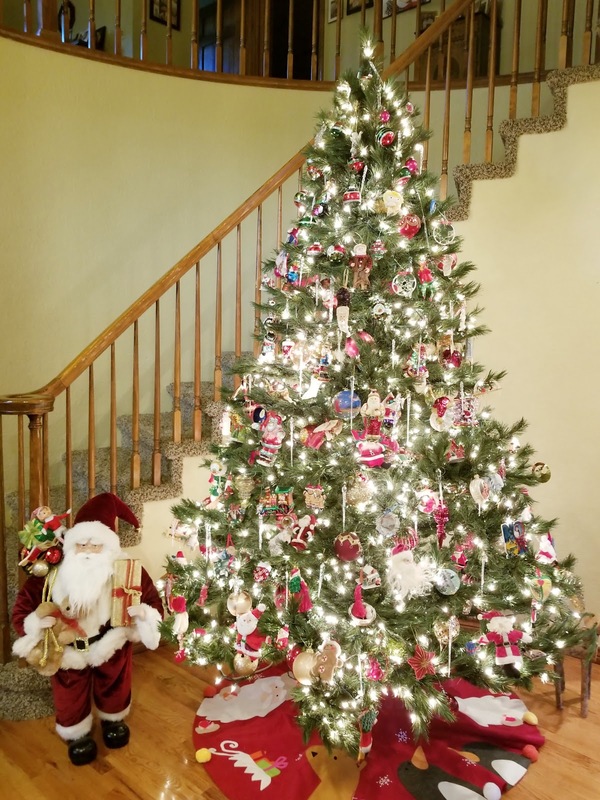 All of the ornaments on our tree have a special meaning to me, as I have collected them from different places and occasions over the years. It is like visiting old friends when I take them out of their boxes every season. As you can see I have a soft spot for Santa Claus. 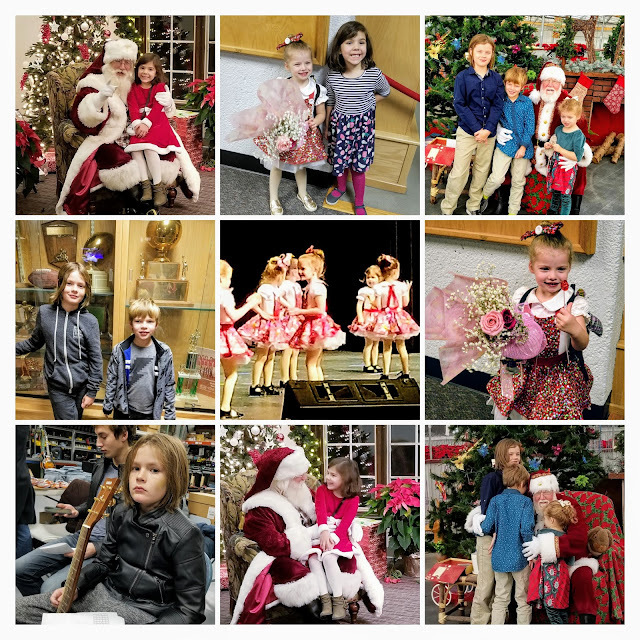 December brought a Christmas dance recital for our youngest granddaughter, a guitar recital for our oldest grandson, and Santa Claus visits for all four grandchildren. All very sweet moments! 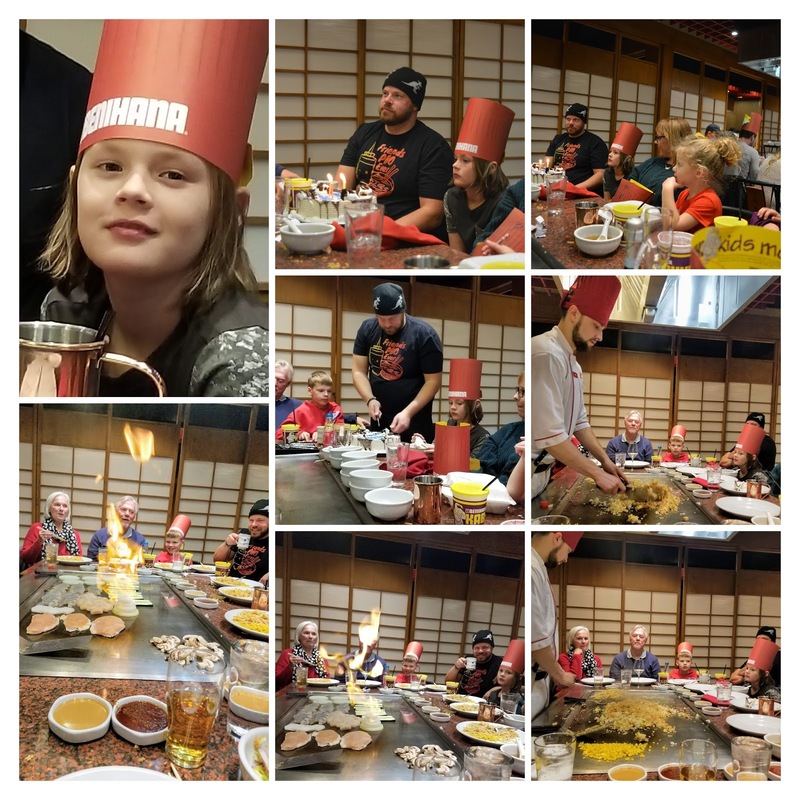 December also brought my oldest grandson's 10th birthday! To celebrate we went to a Benihana Restuarant where our meal was cooked in front of us all as the chef wield his knives expertly and we watched in fascination. 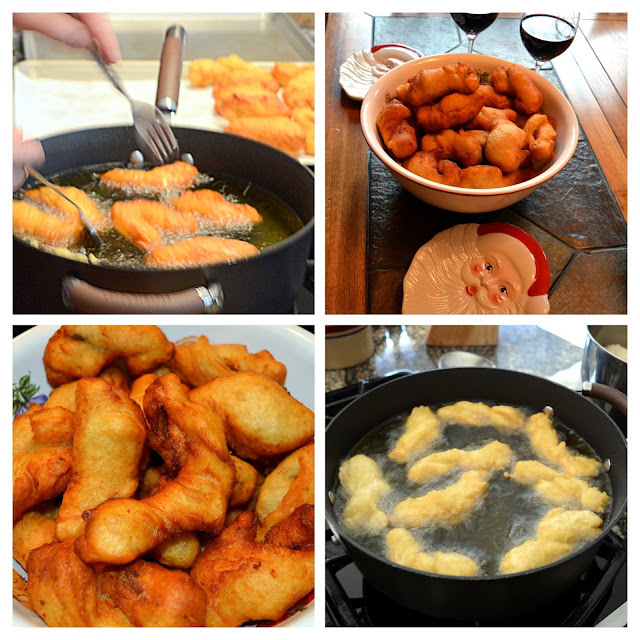 ...and my husband and I made our traditional savory zeppoles today. These are not the usual sweet Italian Neopolitan, donut-like zeppoles that many of you may be familiar with, but Calabrian savory potato and semolina dough style with an anchovy in the middle. They are a once a year treat for us! If you'd like the recipe I described the entire process of how to make them on this post. 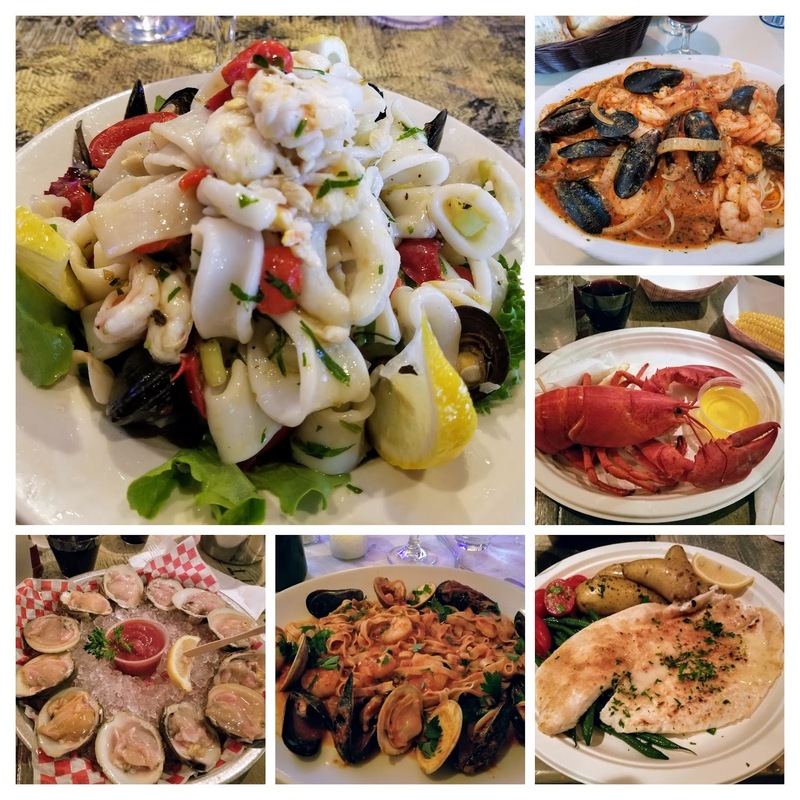 On Christmas Eve I prepare an Italian style "Feast of the Seven Fishes," and one of my most popular recipes is the Mixed Seafood Salad-click here-for that recipe. 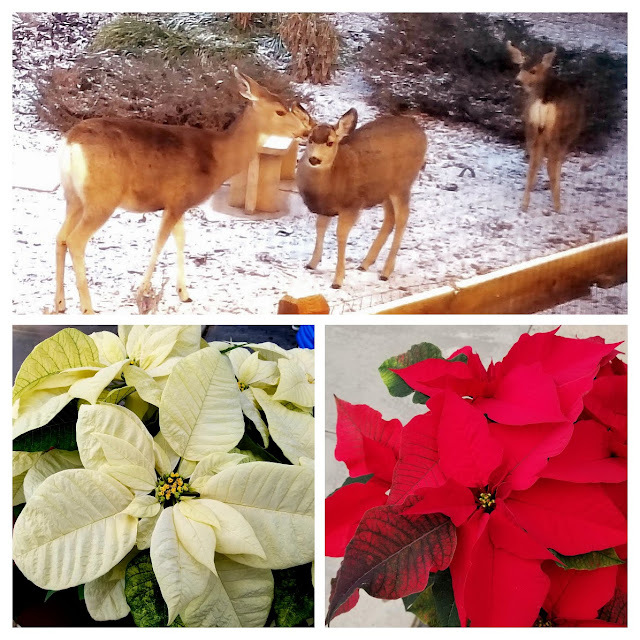 So this last week before Christmas Eve will continue to be a busy time for me, but I am loving every minute of it. Of course, the most important part of Christmas is the celebration of the birth of our Lord and Savior, Jesus Christ. May His message of love for all people, especially those that need our love the most, be in our hearts and in our actions in 2019. Do you find archaeology interesting? I've always been fascinated by the past, and the people and civilizations that came before modern times and the remnants of their lives they left behind. Every year on the third Saturday in October, the Archaeological Institute of America organizes International Archaeology Day, where the AIA and archaeological organizations across the United States, Canada, and abroad present archaeological programs and activities for people of all ages and interests. On that day, depending on where you live, many parks, museums, historic sites, colleges, and universities will hold all kinds of events including public digs, exhibits, talks, and demonstrations. 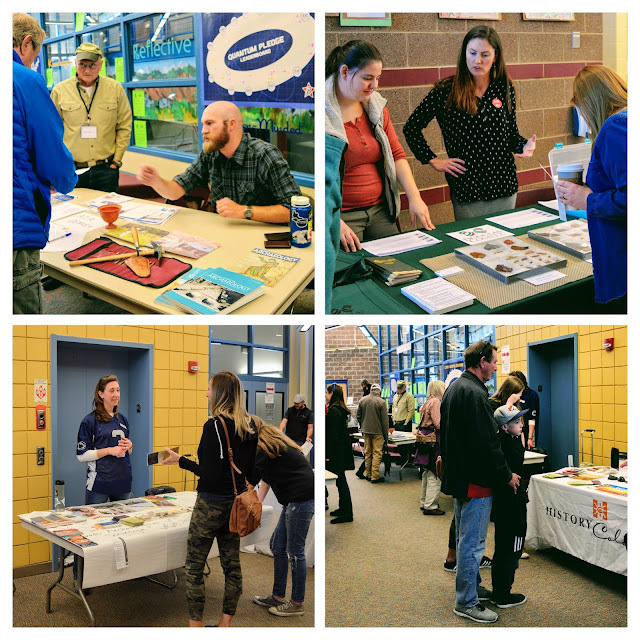 In Colorado, the International Archaeology Day Expo held on October 20th, was held at the Roxborough Intermediate School. in Roxborough. It was a celebration of archaeology and the thrill of discovery, via family-friendly exhibits, demonstrations, and lectures. One of the exhibits was something I had recently heard about on Colorado Public Radio--lithophone rocks! A lithophone is a musical instrument consisting of a rock or pieces of rock which are struck to produce musical notes. Notes may be sounded in combination (producing harmony) or in succession (melody). If you click on the CPR article--here--you can hear the sound the rocks make. Lithophone rocks have been found all over the world, but the ones discovered by archaeologists in the high desert near the Great Sand Dunes National Park were mysteries at first. Some were 5,000 years old and the first found in Colorado. Archaeologists thought they were tools used to grind nuts or seeds. Longmont, Colorado, archaeologist Marilyn Martorano finally made the correlation that they were ancient man-made musical instruments. The ancient people who lived near the Great Sand Dunes crafted their lithophones out of dense, often volcanic, rock to get the best sound. The stones have different sizes, which gives them different tones and pitches. We were able to hit the rocks to hears their musical sounds. 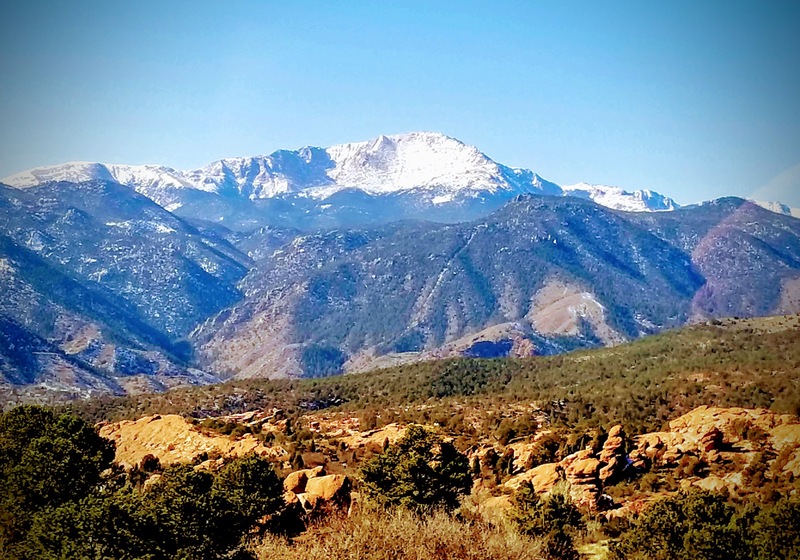 There was information for on-site tours available for archaeological sites such as Lamb Spring, where ancient Mammoths roamed, and Roxborough State Park, and South Valley Park, where ancient peoples lived. In these areas, there were other exhibits and talks on the schedule. 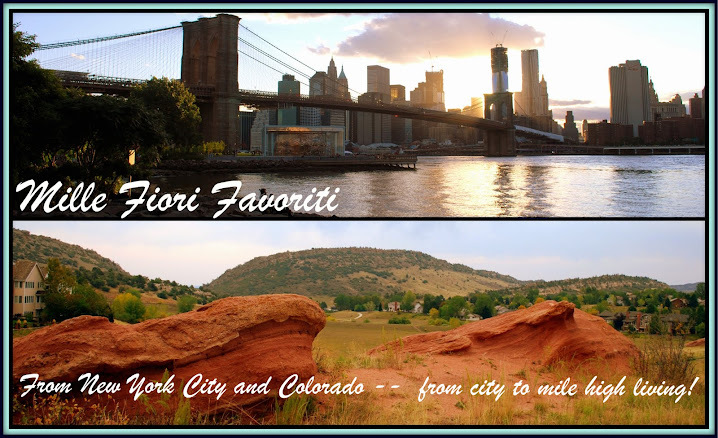 I have been to all three of these areas in the past, and you can read blog posts about Lamb Spring here, Roxborough State Park here, and South Valley Park here. 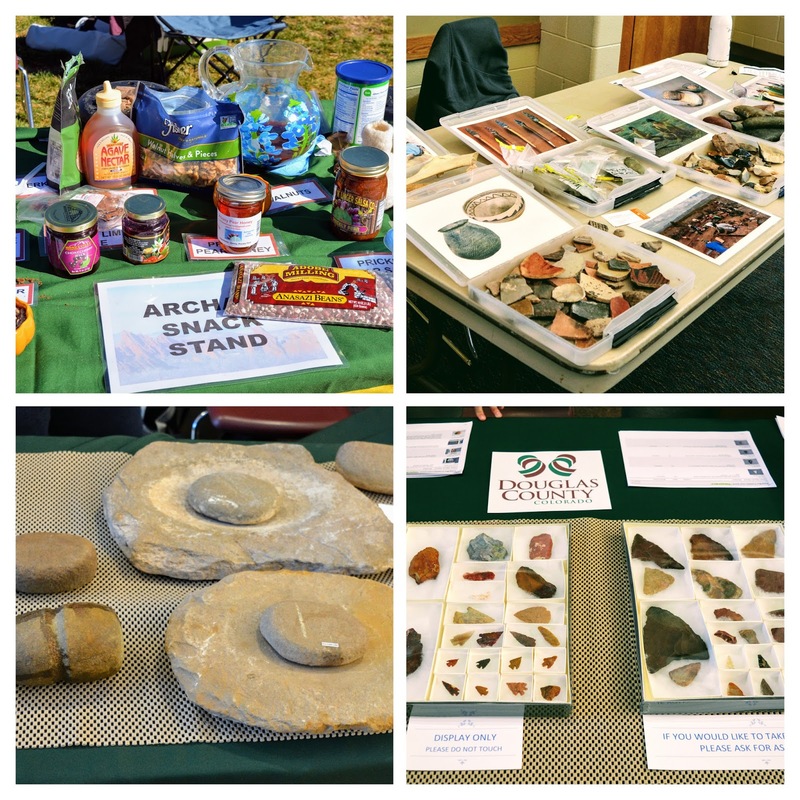 There were also artifacts and information about digs and discoveries throughout Colorado. ...as well as fun things for younger children to do. 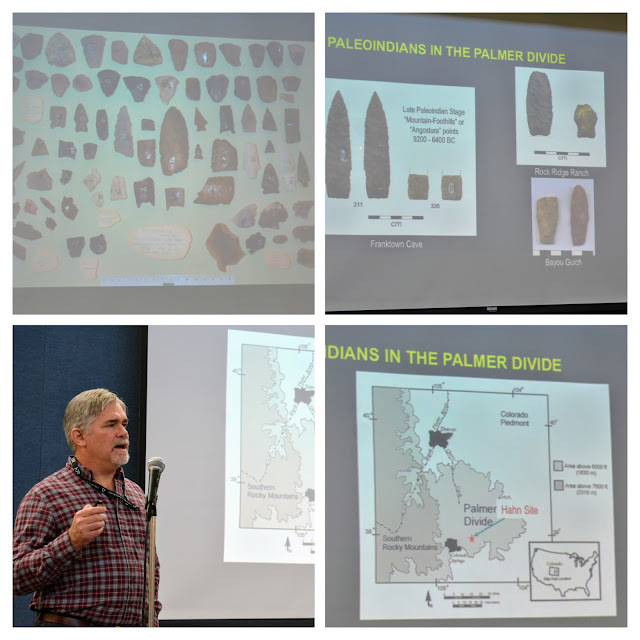 The part of the International Archaeology Day Expo that my husband and I were most interested in was the scheduled lectures. One of the volunteers proudly showed us the schedule! 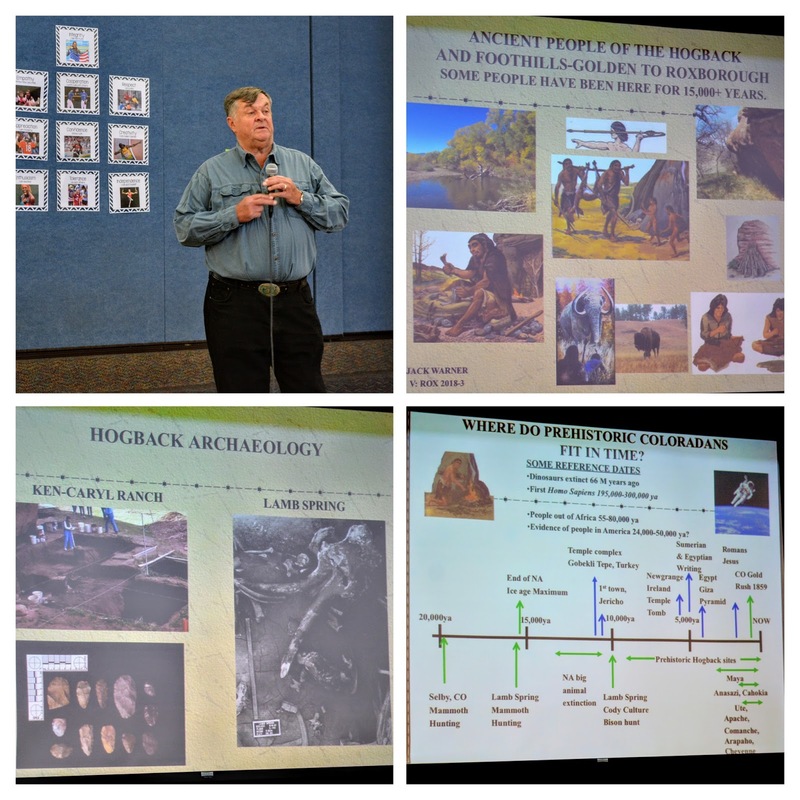 Jack Warner, a member of the Denver Chapter of the Colorado Archaeological Society, was the first speaker, whose topic was "Ancient People of the Hogback and Foothills: Golden to Roxborough." We know Jack from our community history society and always enjoy his lectures. It is always so interesting to learn about the prehistoric people that lived where we now live. 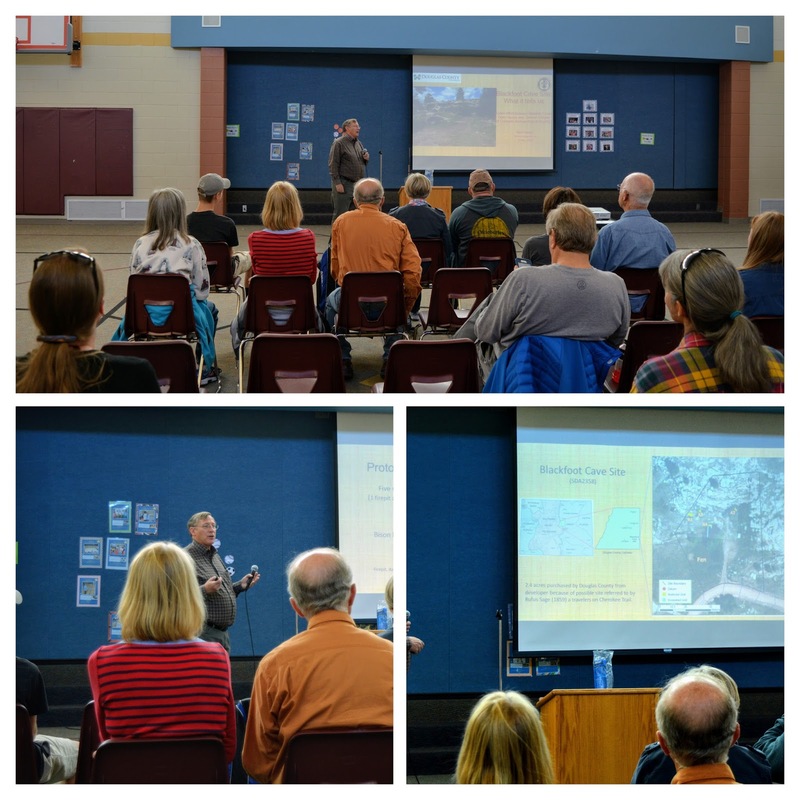 If you'd like to see a short version of his lecture about one area along the front range, you can watch this YouTube video presentation. 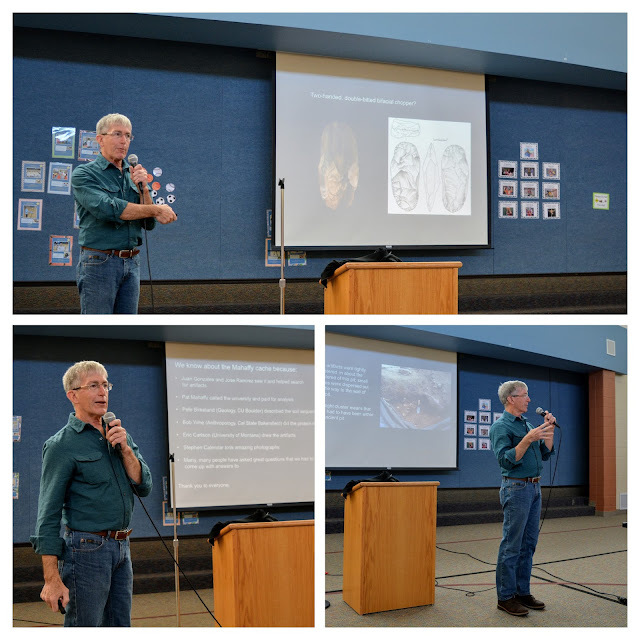 Next was archaeologist Kevin Gilmore who spoke about " A Short PrHourehistory of the Palmer Divide: Everything You Need to Know in an or Your Money Back." You can read more about this unique area of Colorado's history where the earliest known area inhabitants were native-American tribes that date to the Folsom period, 10,000 years ago, on the Palmer Lake Historical Society link and also the Franktown Cave Wikipedia. Archaeologist Neil Hauser spoke about "The Blackfoot Cave Dig in SE Douglas County" From archaeological digs there is evidence that prehistoric people occupied the cave and surrounding area from 10,000 years before present (BP) through 1540 AD. Evidence also shows that the cave and surrounding area was occupied by modern tribes from the 1540s through the 1840s. European contact occurred as early as the 1540s by the Spanish Conquistadors in the North American Continent. You can read more about the cave on this link. My husband and I actually were able to see this archaeological dig taking place a few years ago--click here--to read that post, and we were interested in the final findings. The last lecture of the day was presented by Douglas Bamforth about the "Mahaffy Clovis Cache." 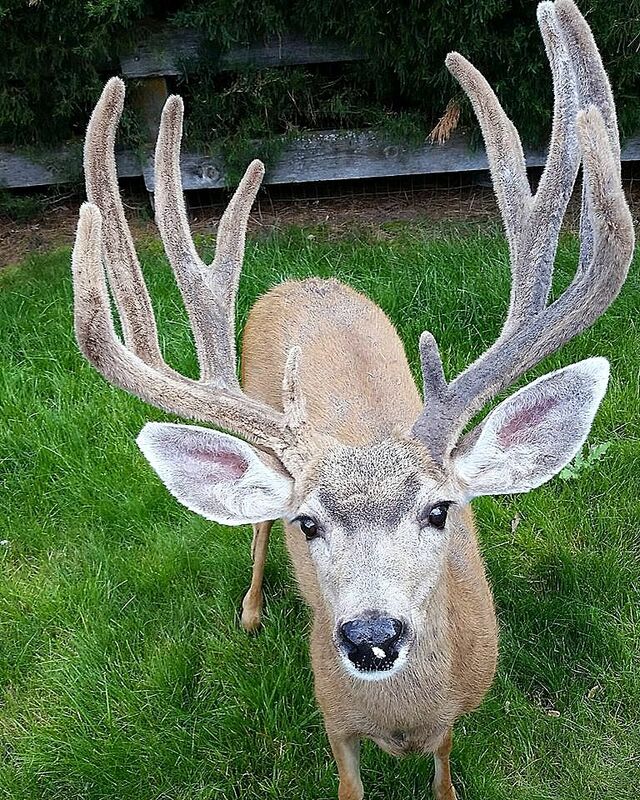 When landscapers uncovered a collection of 83 stone tools in the front yard of Patrick Mahaffy's home in Boulder, Colorado, the homeowner called the University of Colorado at Boulder's anthropology department and the next day archaeologist Douglas Bamforth came out to investigate. What they discovered is called the Mahaffy Clovis Cache. It contains elaborate stone knives and blades used to butcher ice-age mammals 13,000 years ago! You can read more about this exciting discovery on the University of Colorado at Boulder's website on this link. 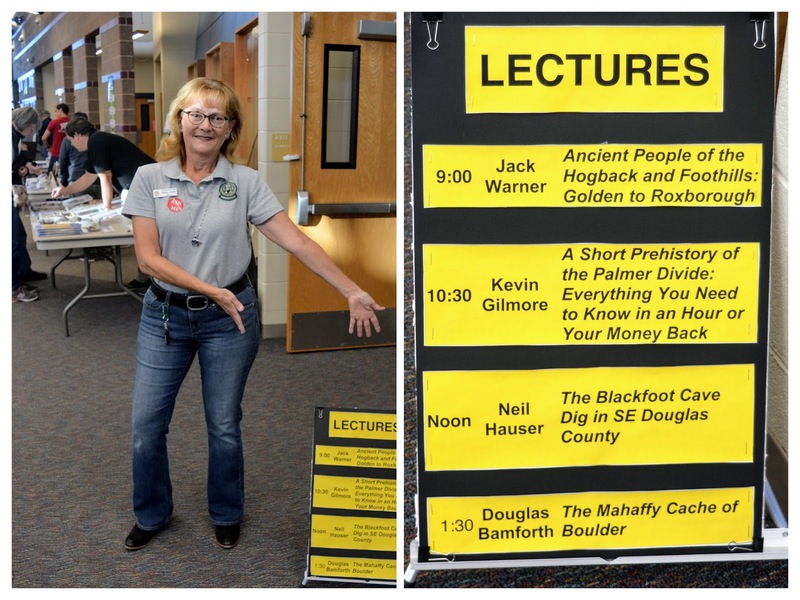 I really enjoyed attending the International Archaeology Day Expo, and after listening to all the interesting lectures my mind was full of the possibilities of discoveries still waiting to be found in our part of Colorado, and also your part of the world. Perhaps in a local cave, among some large rocks, or underneath the soil, lie the secrets of life from thousands of years ago! Doesn't that thought make you want to start digging? 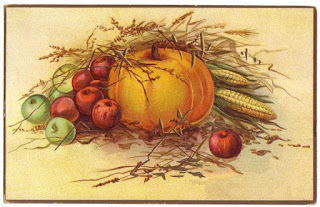 It will be a busy week ahead in the U.S. as we prepare for our annual Thanksgiving Day. 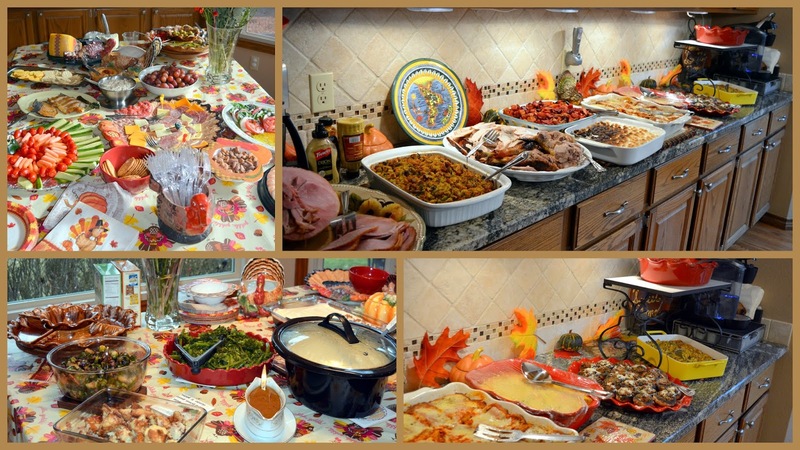 Here are some of the foods I prepared last year for nine adults and four children. We begin the meal with various appetizers, and then for the main meal, I made a ham as well as a turkey with all the trimmings, plus many different vegetables. 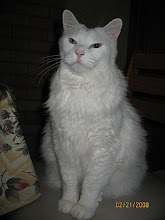 I serve buffet style, but we sit down together at my dining room table to eat. Dessert last year was chocolate covered strawberries, pumpkin and apple pie, and my daughter's ice cream birthday cake. 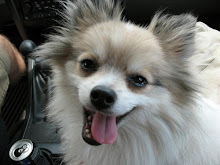 She was born close to Thanksgiving Day and we always celebrate her birthday on the holiday. Everyone takes home lots of leftovers to enjoy the next day! It is a special feast to celebrate our bounty and acknowledge our blessings. I give thanks for all we have and make an effort to give to those in need. all year long. 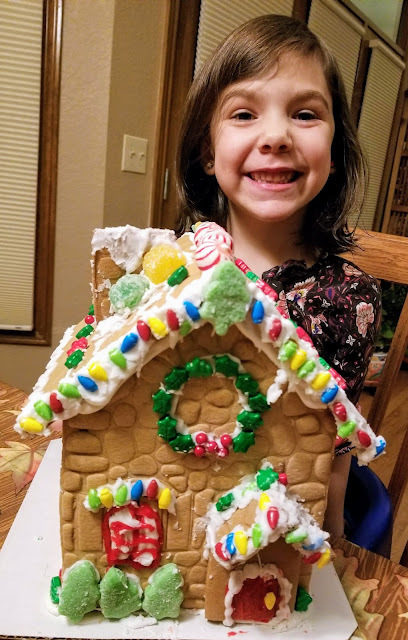 Our grandchildren always enjoy being together for the holiday and they fill the house with laughter! This was last year's photo and I can't believe how big they've grown since then! I give thanks for each of them as they have filled my life with joy! 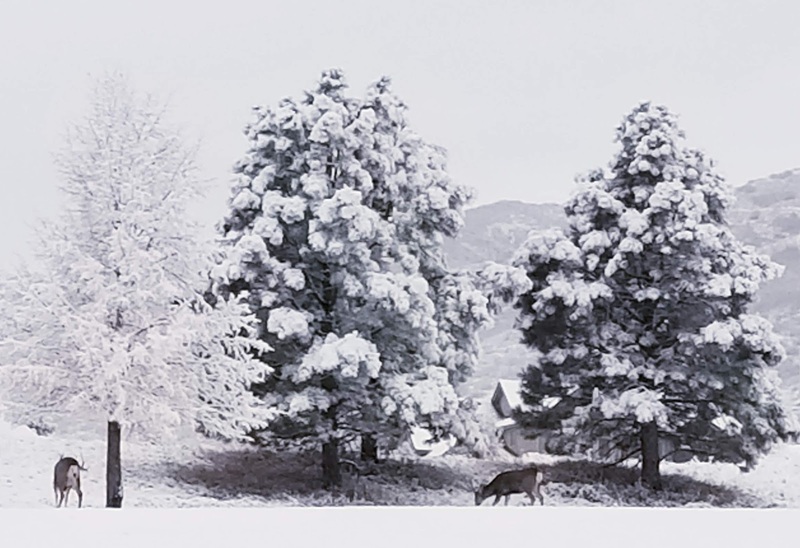 ...doesn't everything look so beautiful? 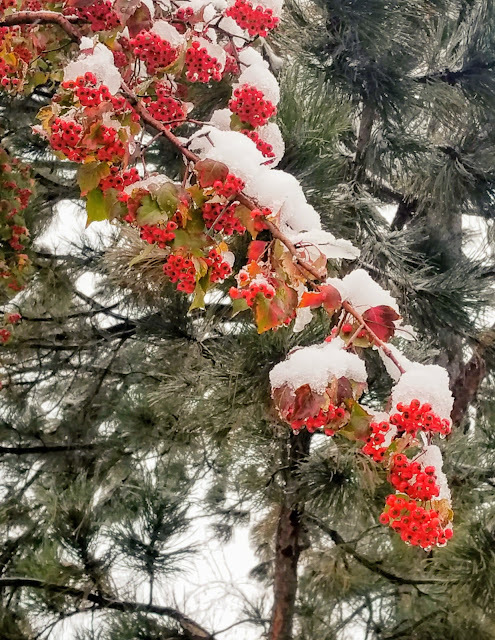 I am thankful for the snow as we have been in a drought year, as most of the west has been, and the snow brings much-needed moisture to our land. The recent drought-ridden fires in California have been devastating and my heart goes out to those affected. Blessings are like leaves that fall....we can never, ever, count them all! 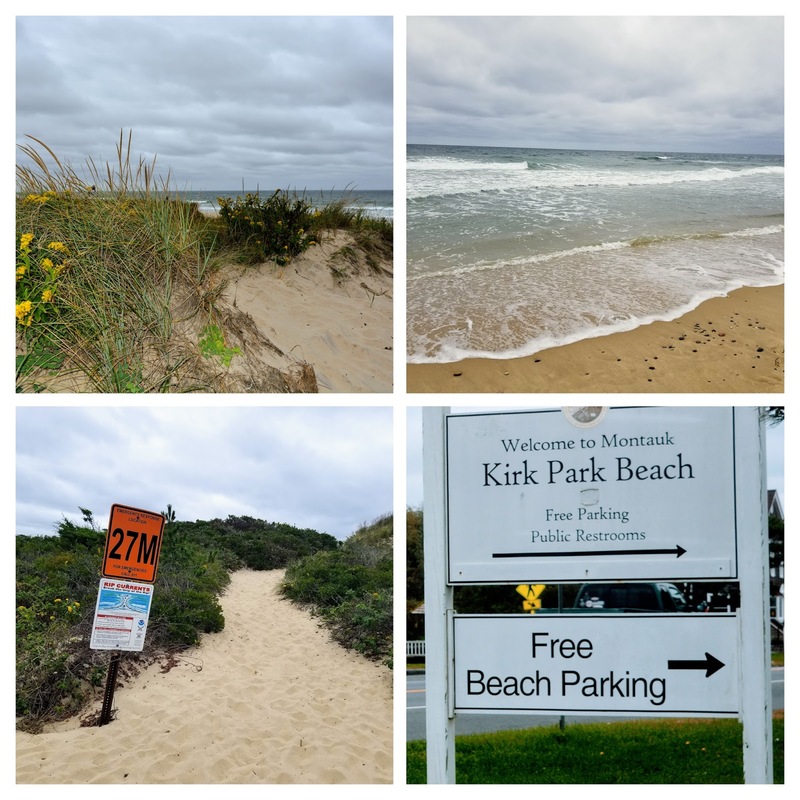 Since we were on Long Island, New York, we decided to also continue celebrating by spending a few days in Montauk. My husband and I had celebrated an anniversary there almost 30 years ago and we thought it might be nice to make a return visit, Montauk is at the very eastern end of Long Island. 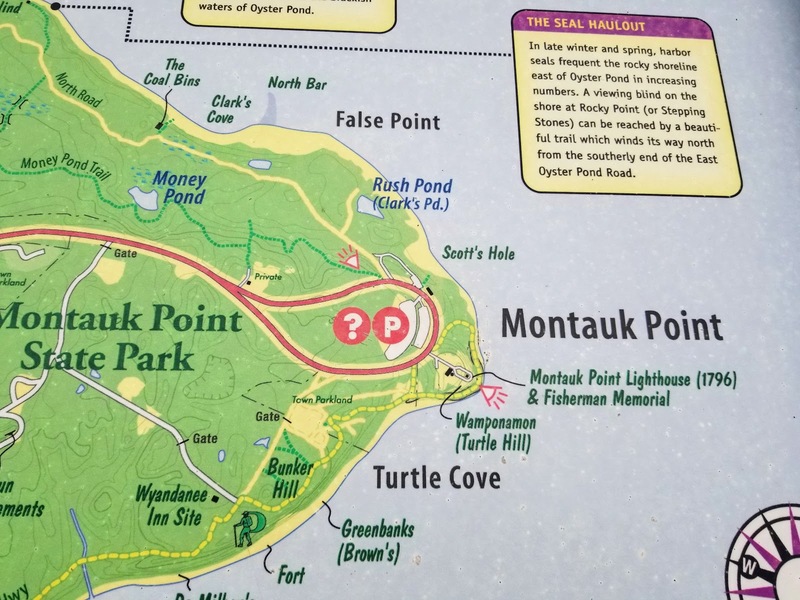 Long Island earns its name by being 114 miles long with Brooklyn at its westernmost end and Montaulkat its easternmost end. 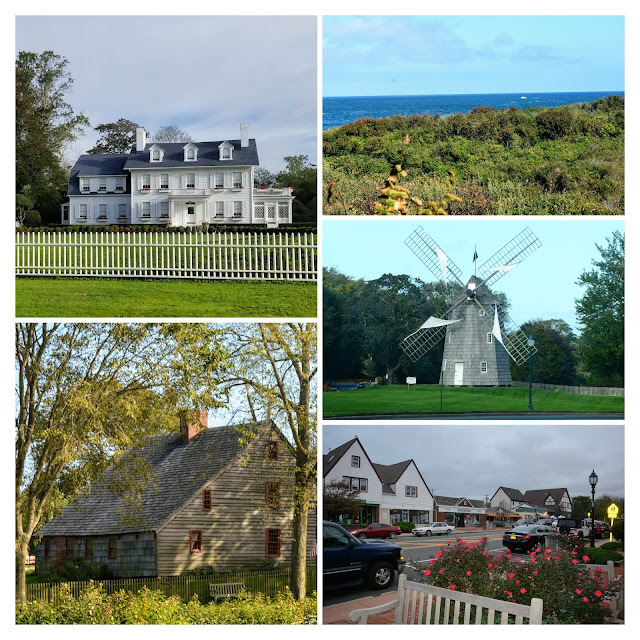 As we drove east we passed many towns and scenic sights along the way. 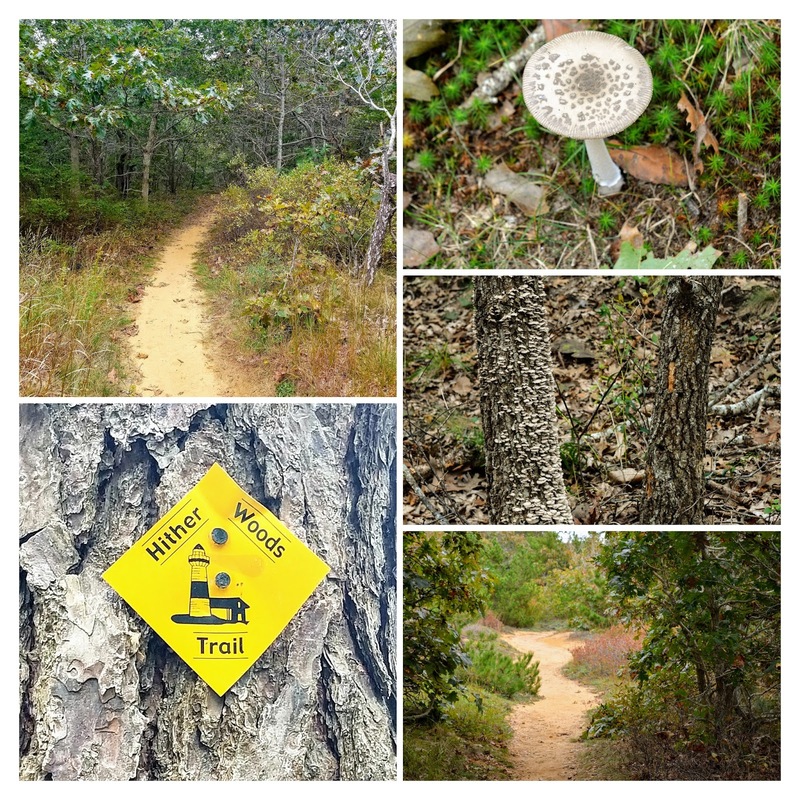 We stopped to stretch our legs and take a hike along the Hither Woods nature trail. Don't you love that name? 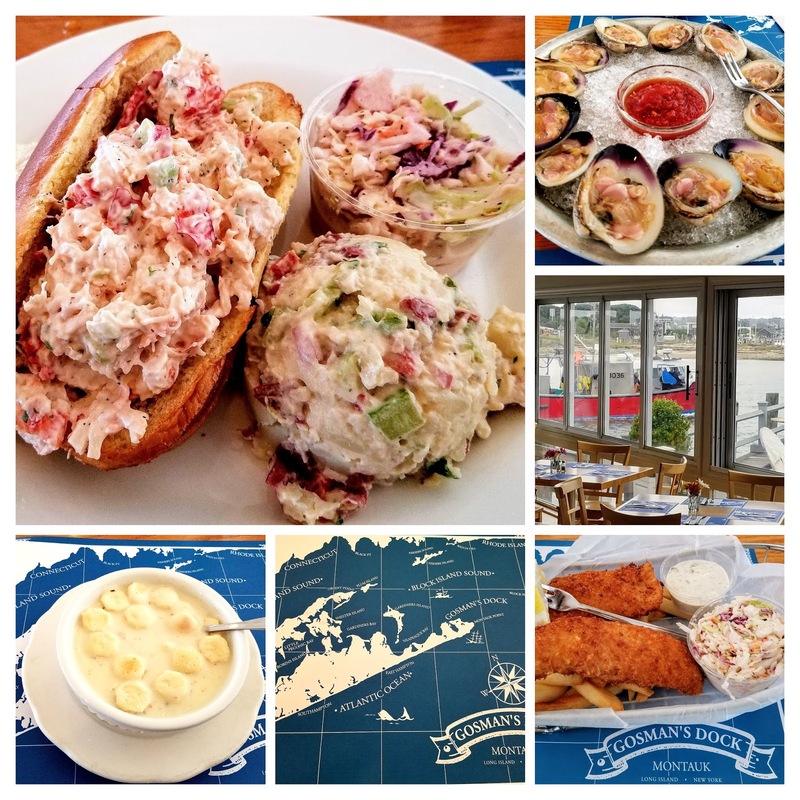 After checking in to our hotel in Montauk we headed over to Gosman's Dock for an early dinner. I was in heaven having their award-winning clam chowder and lobster roll! Afterward, we wanted to walk along the shore, so we headed for a public beach. The sky was moody but the air temperature was still warm. 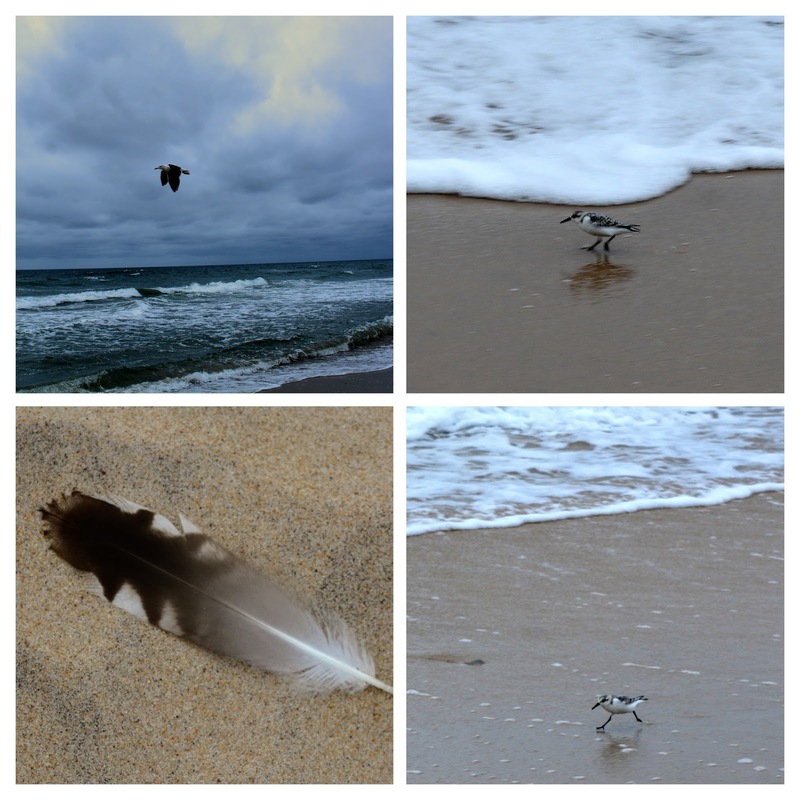 ...some very fast piping plovers and seagulls. I wrote a blog post about the Montauk Point Lighthouse and the Memory Motel in 2010 --Click Here- to read that post. The Montauk Point Lighthouse is the oldest lighthouse in New York State. 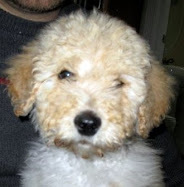 It was authorized by the Second Congress, under President George Washington, in 1792. Construction began on June 7, 1796, and was completed on November 5, 1796. 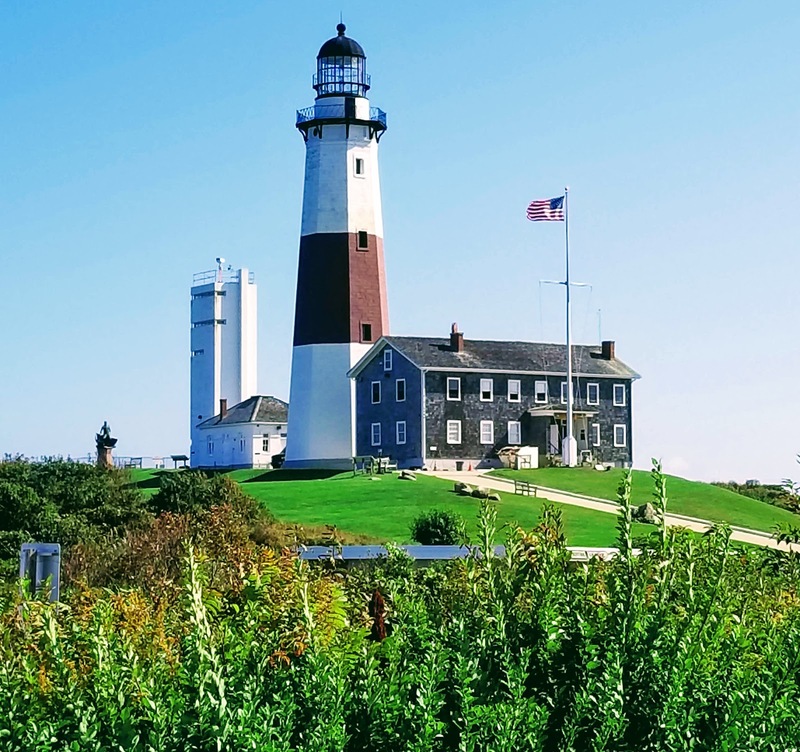 This historic landmark has been part of Long Island's land and seascape for over 200 years and still serves as an active aid to navigation. 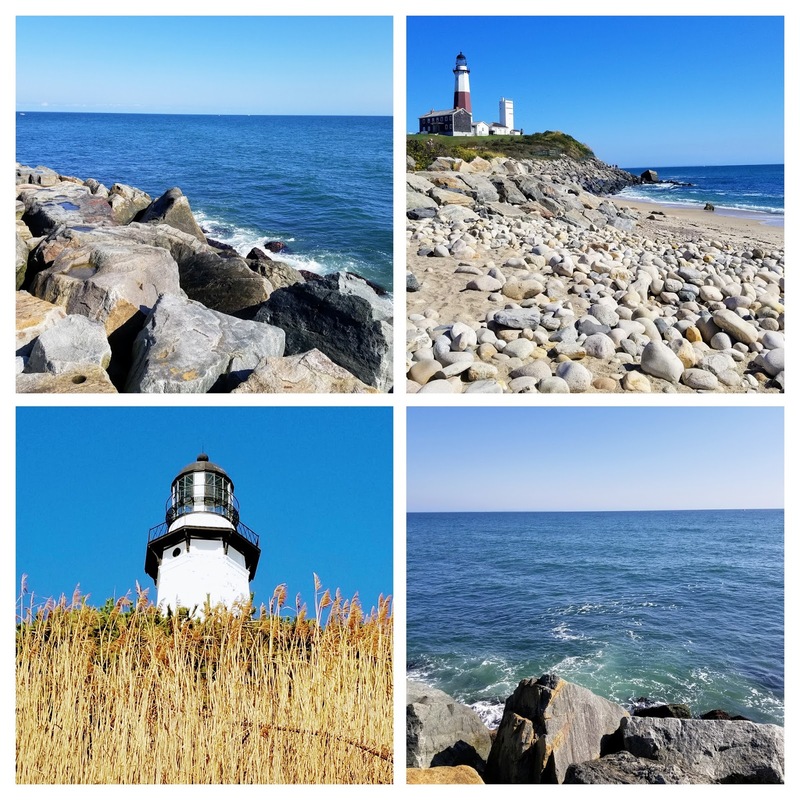 Unfortunately, the lighthouse wasn't open the day we visited, but we enjoyed walking around it and along the coastline. Because of erosion from waves and storms. the easternmost coastline has been reinforced with large boulders. View looking out at the very end of Long Island to what is referred to as "the end of the world" by the locals. 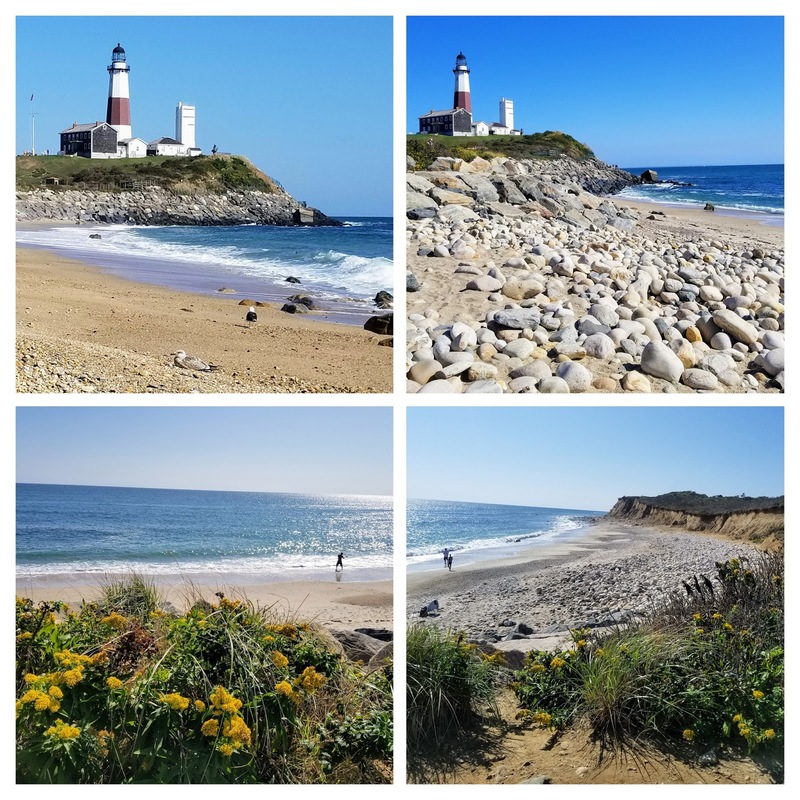 Here is a short video I took that day that is also on my Mille Fiori Favoriti Facebook page at this link We sat for quite a while on a bench that was along the shore enjoying the sound of the waves and the sights at the end of Montauk. Be sure to click on the sound in the video to hear the ocean. 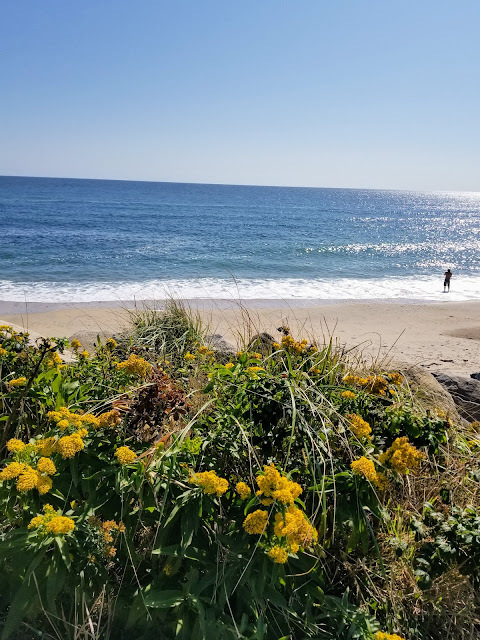 I lived most of my life in Brooklyn, NY, not far from the shore, so it was nice to listen to the Atlantic Ocean again for a few days. It was also nice to enjoy fresh east coast seafood, and, as you can see by the photo collage above, we indulged in all our favorites during our trip. We were also able to visit our family and some friends in Brooklyn before flying back to Denver after a short, but memorable, trip. I'm always sad to leave my hometown, but always happy to return west to Colorado. It's nice to have a piece of my heart located in two states!